Monaco is one of the world's most desirable countries, settled in France and Italy. The Principality of Monaco has achieved a reputation for being a serious business center and ideal place of residence for expats wishing to live in a very safe and accessible European location with classy facilities, a pleasant climate and favorable tax system. Monaco is a tiny country in Europe on the Mediterranean Sea consisting of one city with around 36 thousand residents. It is so small that this gives it the most crowded density of population of any country in the world. Its only land neighbour is France. The Monaco area was settled by Greek colonists by 600 BC Monoikos, meaning single dwelling. According to legend, this refers to an ancient temple established there by Hercules himself. As part of the patchwork of feudal Europe, it continued for some time to be transferred as a protectorate from one European power to another, but France officially recognized its sovereignty as independent in the year 1861. It soon became one of the wealthiest nations on earth as a result of the casino opened at Monte Carlo in 1858, as well as a tax haven. Many wealthy investors are attracted to live in Monaco as a result of the fact that there is no income tax in Monaco. Income tax is unnecessary because of all the gambling revenue. To this day, Monaco has one of the richest populations in the world, with the most millionaires per capita of any nation. Monaco is a hereditary principality where the monarch, Prince Albert, has considerable power, despite the adoption of a constitution for Monaco in the year 1911. The previous Prince, Prince Rainier, who passed away in the year 2005, was famous because of his marriage to Grace Kelly, an American actress. Although tourists gambling in the casino continue to be the principal economic mainstay, the citizens of Monaco themselves are not allowed to gamble. Monaco is not technically a member of the European Union, but it relies on France for defence and has been using the euro as its official currency since the year 2002. Before that year, it had used to mint its franc. Monaco is also famous as the home of the Monaco Grand Prix car race, which has been held there since the year 1955, and the Monte Carlo Rally car race, which has been going on since the year 1911. Rugby and soccer football are also popular sporting events in Monaco. 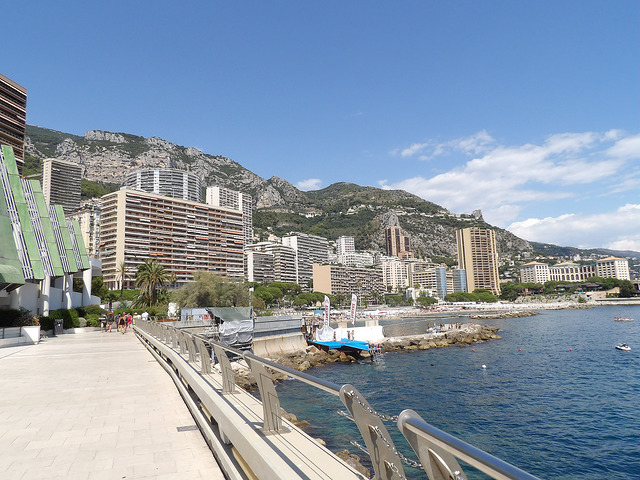 There is one University located in Monaco, the International University of Monaco. The official language is French, but native Monacans also speak a dialect more similar to Italian known as Monegasque. Native Monacans today only account for around 20 percent of the population, owing to the abundance of foreigners, mostly French, living there. Monaco is an independent country located on the Mediterranean coastline of France. Many people from all over the world are drawn to the country’s glamorous lifestyle and state of the art architectures. Most tourists find this a perfect vacation spot. But for an expat like you, relocating here is like finally starting a dream life. You will find numerous career opportunities while being surrounded by glittering casinos and luxurious high rise hotels. So if you’ve made up your mind to live in the land of promises and glamour, here are a few guidelines that will certainly make the start of your relocation a real success. You can start by doing a research through online portals even before you arrive in the country to have an idea about the neighbourhoods and how much the rental prices are. Once you arrived, you can look on newspapers for advertisements or the best way is to contact local realtors to help you with your search. They are more familiar with the cities and have the wider range of housing options. When moving abroad, always expect that you have to pay for your utilities. 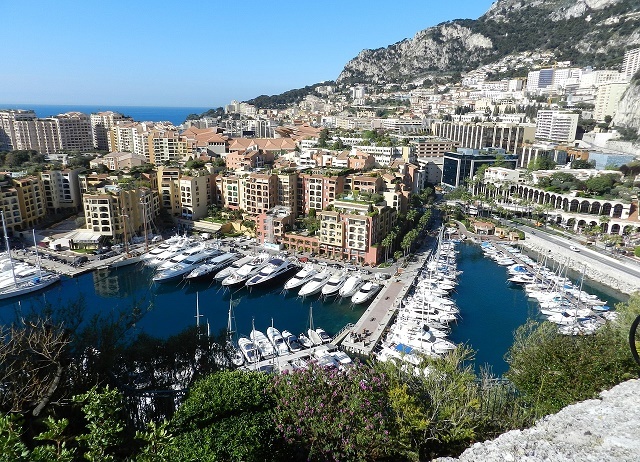 In Monaco’s main cities, the average cost for basic services (water, electricity, gas and garbage collection) is €200. You can also apply for internet connection which is around €45 per month. A minute of local prepaid mobile call is charged €0.20. Finding a house/apartment in Monaco is a challenge because of its small geographical size and huge population. Added to the growing demand in the housing market, you should also expect that prices are quite high. Based on your planned length of stay, you can choose between a short term and long term rental agreement. If you will be in the country for 4 to 6 years, it will not be advisable for you to buy a real estate property. Most expats opt to rent in apartments which are cheaper compared to purchasing a property where the average cost is €32,000 per square meter. You can find a lovely one bedroom apartment with a scenic view in most major cities like Monte Carlo for €4000 per month and a three bedroom unit for roughly €16,000. There are also many accommodations in neighbouring districts outside the metropolitan where the average cost of a one-bedroom apartment is €3000 and €12,000 for a three bedroom unit. Monaco's curriculum and educational system are considered to be well structured to meet international standards. One of the most acclaimed international schools in the country is the International School of Monaco where a majority of expat children are enrolled. The government implements mandatory education for children 6-16 years old. Ten state schools in the country provide basic and primary education. 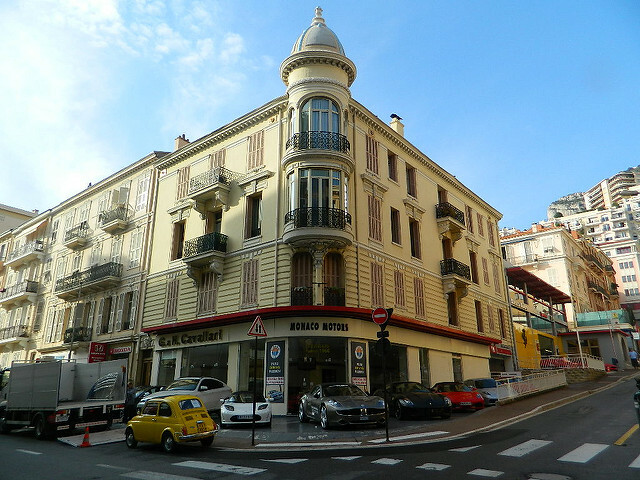 You can also check the Lycée Albert Premier, a very prestigious local school founded in 1910. Since the cost of living in the country is a bit high, it will be practical for you to bring some of your old belongings. Many international companies provide shipping and relocation services to Monaco. The average transit time to Port Genoa, Italy is 14-18 days where most large containers for Monaco are delivered. It will take another three days for the cargos to reach the Port of Monaco where local customs officers will conduct an inspection. For more information about importing household goods and personal items to Monaco, click here. Domestic animals entering the country should have a rabies vaccination at least 21 days and not more than 12 months before import. You also need to get a bi-lingual Annex II Form for Monaco from your veterinarian and have it endorsed by the government of your originating country along with your pet’s Rabies Vaccination Certificate. Though small in size, Monaco is overflowing with beauty and riches. It's mesmerising bright lights, and extravagant aura will inspire you to make the impossible possible. Monaco has one of the most stable and prosperous economies in Europe, despite not being a part of the European Union. Expats in this country will be among a multitude of tourists and the affluent, famous people who were lured by the booming economy and modernised cosmopolitans. Monaco is a sunny-state in the Mediterranean Sea that has a population of 37,952 which makes it the most densely populated country in the world. A haven for the rich and business people because of the favourable income tax laws, Monaco also became a top destination for expats who seek a prosperous career and a luxurious life. This small nation is known not just for its thriving tourism industry but also for the great life it provides for its people. The quality of education is globally competitive, health care system is reliable and most importantly, the cost of living is not as high as one might expect given its reputation of grandeur. Monaco is the second smallest country in the world which means that finding the best places to enjoy with friends and family doesn’t mean having to travel far and wide. Aside from the grand casinos and luxury hotels that offer a multitude of indoor facilities, there is also an impressive list of other places to visit such as the Monaco-Ville. Also known as the ‘le rocher’ (the rock), this Medieval village allows you to have a glimpse of the country’s rich history whereas several century-old houses are still well preserved. Here, expats can also have access to other famous sites including the Prince’s Palace, the official residence of the third prince of Monaco and the Saint Martin Gardens which is a hillside park with picturesque views. Kids who love animals can head to the Animal Garden in the south of Grimaldi Rock. This zoo was founded in 1954 by Prince Rainier III and serves as a home to more than 250 animals from 50 different species. When it comes to beating Monaco’s summer heat, the Larvotto Beach is the place to be. This pride of Monte Carlo is considered as one of the most glamorous beach in Monaco where your feet will be caressed by pebbles instead of smooth sand. Other common leisure activities in this country include canoeing, kayaking, diving, snorkelling, cycling and mountain biking. There are many reputable local banks to consider but due to the influx of foreign nationals, a huge number of international banks have decided to branch out in Monaco. When choosing a bank, expats can visit the website of the Association Monegasque des Activités Financières (AMAF), Monaco’s banking association that keeps a list of all the banks operating within the country. Some of the top banks that you can consider are Barclays Wealth Monaco, Banque Populaire, Banque Le Crédit Lyonnais and HSBC. French is the official while Munegascu is the ancient dialect of the people. Expats bound to this country shouldn’t worry about language barrier since English is widely spoken especially in the major cities and in the corporate world. Another language used here is Italian considering the close geographical location of Monaco to Italy. Roman Catholic is the state religion and is being practised by 95% of the population. Freedom of worship in Monaco is backed up by Article 23 of the Constitution which guarantees that everyone has the right to choose their religion. Because of the close cultural relationship, many foreign nationals think that Monaco is a part of France. However, Monaco is an independent nation with its own identity and expats shouldn’t make a mistake of insulting the locals by calling them French. The people of Monaco are referred to as the Monegasques and it deeply scars that patriotism when others call them French. Generally speaking, the Monegasques are happy to converse with, approachable and kind. Expats wouldn’t have a hard time learning more about their new host country since the locals are more than willing to help them and answer all their questions about their culture. As a golden rule, never discuss politics and religion because those are sensitive topics for the Monegasques. They also despise a person who constantly rants or brags about his salary or material achievements such as house, cars or properties. Instead, stay humble and just let the lovely people of Monaco know that you are having a great time in their country.